Come along and meet the authors who are all members of the Hampshire Writers’ Society. Talk to them about their path to publication. Some will have their books available for sale and signing on the night. Heather founded HHB Agency in 2005 on the back of over twenty years’ experience in the publishing industry. She went on to say that if ever she meets someone who says, ‘Everyone has a book in them,’ she runs away — very fast. Because, despite that old adage; writing a book is very hard work. Drawing on the work of some of the many and varied authors that HHB represents, Heather imparted invaluable advice on the ‘writing’ of books, what draws HHB to and keeps them with an author. And, most importantly, how that helps to pin down publishers. Number one, of course, is the writing – fabulous, evocative, perhaps with well-timed touch of humour. Series, Heather muses are growing in trend. So, as it seems, are sunny, by-the-sea settings. Cornwall perhaps. Be warned however – genre is constantly changing. Remember that, what is en-vogue when your agent secures a publisher, may have gone out of fashion by the time publication comes to fruition! The same with a TV series. Or a film. Some agents may be able to ‘see’ such a promise of the manuscript that they are reading. But then a studio must be sourced and a drama producer. So, it is of little possibility that this vision will be a decider for them taking on your book. Heather makes the point that biographies, especially if the subject that you have chosen is still alive, are tricky – liabilities that may cost the publishers in turn cost the agents. If you have a biography in mind seek advice and keep passionately tenacious about it! Of course, if your story is autobiographical – don’t try to hide it. Staying true to your story, will make it more saleable. Meticulous planning, particularly with anything historical and with a down-turned mumble, Heather sheepishly admits that she is not at all enamoured with spreadsheets. But, the planning of dates, research and word-count cannot fail to make that book a winner. Self-marketing – memberships in many notable organisations, twitter accounts and appearances in publishing journals. All this contributes towards the novel’s success. It also assists the agents. The cover, this is a debate that as agent, HHB will take on for their author. If the cover is not right, the future sales of that author may fall. Titles (and to a certain extent historical novels) although it seems that these often wind up being changed. What might make perfect sense to us, here in England, may well be all-to-pieces, mumbo jumbo, balderdash hooey in America; for example, the name Clementine Churchill does not have the same familiarity as Mrs Winston Churchill in a country with a totally different political system to ours. Not to worry though – this is a rough-spot that HHB as agent would iron out. When it comes to submitting your own novel; “Just send it.” is Heather’s advice. Check out the Writers’ and Artists’ Yearbook (the current one), find your most suitable agent and with a short pitch, comparisons of reading preferences for example; “if you like reading Lisa Jewell, you’ll like reading …” and the first three chapters or whatever the agent’s website asks for, just send it. Don’t muddle up agents and small publishers – the agencies will not like that. Incidentally, Heather did mention the dreaded ‘slush pile’ – she hates the term, it makes her grimace! The logos of Simon and Schuster and Orion Publishing Group shone from the huge screen that formed the backdrop for November’s gathering of the Hampshire Writers’ Society. The auditorium was packed in anticipation of keynote speaker and Commissioning Editor, Clare Hey, one of publishing’s most experienced professionals. The first of the evening’s speakers was novelist and Hampshire Writers’ Society member, Joanna Lane. Joanna’s debut non-fiction book, Mother of a Suicide is an incredibly affecting account of trying to understand and come to terms with the terrible tragedy of the suicide of her son, Christopher. Joanna’s honesty and bravery shone throughout her talk and these two qualities also underpin her incredible book. It can’t have been easy to stand up and talk to such a large audience about the circumstances that led her to write such a powerful account of such challenging personal circumstances. Joanna managed with understated dignity and composure and in doing so she was really able to make a connection with her listeners. She discovered that writing the book was something positive to do as she tried to come to terms with her son’s death and she began to recognise the value of writing as therapy. It became obvious that Joanna was determined that something positive should come from such awful circumstances. By raising awareness of the ramifications of serious head trauma during childhood and its potential to cause chronic and debilitating depression in adulthood, Joanna was determined that other parents need not have to go through what she and her family had to face. Of course, as well as dealing with the acutely personal nature of her task, Joanna also faced the same challenges that all serious novelists face. She explained in detail how she developed a system of notation and filing in order to keep track of the work’s progress and she had some good advice for those struggling in the midst of their work – taking regular physical exercise and staying active during the writing process helps keep ideas fresh and enhances motivation. Taking the advice of writing friends, Joanna organised a one-to-one meeting with Bob Cushion of Accent Press at the Winchester Writers’ Festival. Subsequently she was delighted to be asked to provide a further sample of her work. There were hiatuses, false starts and the inevitable setbacks and frustrations to negotiate but finally, after super-human determination, Joanna’s book made it into print with an initial run of 3k copies. Mother of a Suicide: Fighting for the Truth by Joanna Lane. Accent Press. A recent graduate of Winchester University’s MA in Creative Writing, Damon gave us all a fascinating insight into the process of crowd funding and how it is establishing itself as a mainstream route into print. His book, Ten Little Astronauts (the title a delightful play on Agatha Christie’s  work) is set on a decaying spaceship – an environment in itself guaranteed to enhance the tension of any narrative. 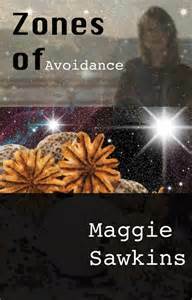 A murder mystery set in outer space but who, if anyone will survive? Damon’s promo video explained that pledges, starting at an entry level of £5, can be made in the usual way via Unbound’s website. Clare started her publishing career 14 years ago with Harper Collins and during that time she has seen many, some might say revolutionary changes. Digitisation, print on demand, the birth of E-books and self-publishing are just some of the developments that have conspired to change the topography of the publishing world. Clare, however provided a steadying voice, quick to recognise that one fundamental thing would never change – the need for great writing to be put in the hands of appreciative and discerning readers. That need she told us, is what a commissioning publisher is there to meet. Whilst she accepts that subjectivity inevitably plays a part in what any agent will want to read (Clare is not a huge fan of Science Fiction for example) some fundamental elements of pitching are generic across genres and publishing houses. She advised that authors should write a perfect covering letter. That means the letter should be concise, it should intrigue and it should make the agent think ‘I simply have no choice but to look at the synopsis and manuscript’. The letter should achieve the same thing a good back-cover blurb ­– it should make the agent want to read the book. Clare, similarly to most agents we were told, wants to read a ‘strong story set in a believable world’ therefore the accompanying synopsis should show that the writing has those very qualities. Finally, if the all-important moment arrives and the agent actually starts to read the manuscript the writing must be flawless, fresh and original. Clare concluded by providing some examples of writers with whom she has worked successfully over the years and she left her audience with the very encouraging belief that that there will always be room on the shelf for books by writers who are prepared to perfect their craft and write convincing, engaging stories set within exciting and believable worlds. It’s that simple. So you see… agents are human after all. Anthony’s book will be on sale at the HWS meeting on 8th November at The Stripe, University of Winchester from 7pm, when Clare Hey, literary agent will be giving a talk. The performance of Zones of Avoidance planned for Saturday, 29 October, 2016 7:30 pm in the Performing Arts Studio, University of Winchester has been postponed to a future date to be announced later. We will refund your tickets or you may chose to save them to use at the new date to be announced soon. We apologise for any inconvenience that this postponement has caused. Claire Fuller’s debut novel, Our Endless Numbered Days is the story of Peggy Hillcoat, who is taken by her father to a European forest where he tells her that the rest of the world has disappeared. Peggy isn’t seen again for nine years. The book won the 2015 Desmond Elliott Prize, was a Richard & Judy, and Waterstones book club book, and has been translated into ten languages. Claire lives in Winchester with her husband, and has two adult children. Blazing Obsession shows how powerful revenge and obsession are, and how they can result in fatal consequences. The novel, which combines police procedural, legal drama and amateur sleuth genres, will appeal primarily to crime fans. Following the sale of my successful businesses in 2004, I retired and joined a Creative Writing class in 2006 and still attend weekly. Writing has become my No 1 passion. I’ve also attended many workshops and seminars at the Winchester Writers’ Annual Conference. I received Highly Commended awards for short stories at the Christchurch Writers annual competition in 2011 and 2012. In 2010, I published my autobiography, B POSITVE! my blood group, which readers have described as an inspirational read. ‘Identified by the Ljosalfar as the child prophesied in the Scrolls of Alfheimer, Izzy Green grows up unaware of her powers until she is nearly twelve. During a surprise visit to her father’s boss, she senses that something is very wrong. With her cat, Orlando, she is catapulted into a series of terrifying adventures when the Ljosalfar, the highest order of elves, enlist her help to find their diminishing source of power. ‘Secret Lives of Chandler’s Ford’ features short stories that are contemporary,historical and futuristic. The writers live and work locally. Each of the writers has their own individual style. However they wanted a theme to unify the collection. As they all love Chandler’s Ford it became apparent that there could be no better backdrop to their stories. In the photo at a progress meeting are Grethe (Ant’s mum), Ant, and Suzan Houching, who is illustrating the book. Wizzy is a talking wheelchair with attitude! Dan and Wizzy are like two friends.Dan’s father designed the chair so Dan is able to be independent, using Wizzy’s amazing abilities. They have some terrific adventures together. I hope you will enjoy reading about them. My mum and dad, Grethe and Mike, have helped me hugely over the years.My dad used to write things down for me. Sadly he has now died. I write now using a computer programme developed by Dolphin Computer Access. I type using a large keyboard and the computer speaks out each letter. In this way, I build the sentences. My mum helps me edit, which is especially useful when the programme uses automatic spell check with sometimes amusing results. I would also like to thank my creative writing teacher, Barbara Large MBE, for her support and encouragement since we first met in 2008, and for helping me to polish up my writing. Marion Bond was born in Dumbarton, in 1955 and subsequently attended The University of Glasgow, where she studied English Language and Literature. The next three and a half decades were spent in teaching English at independent and comprehensive schools and Sixth Form colleges, in Glasgow, Yorkshire and Hampshire. Successful in international poetry competitions, including the University of Southampton International Writers Conference and the Wells Festival of Literature and a reviewer for poetry magazines, such as South, she has performed her work alongside Ruth Padel, Don Paterson, Chris Logue, Jo Shapcott and Wendy Cope at venues as diverse as The Edinburgh Fringe, The Gantry, The New Forest Arts Centre and Winchester Cathedral. For the last twenty years or so, Marion has been writing and publishing poetry in small presses. She favours blank verse, but enjoys experimenting with forms such as the villanelle and the sestina. Her first collection, Its Own Place, will be available from May 2016 (Sarsen Press) and reflects themes of faith and spirituality. Marion has also published short stories. I am a writer living in Swanage. Born and bred in Hertfordshire, I always had a love of words, writing as soon as I could hold a pen. My poetry collection, Grandma’s Poetry Book, was self-published by Matador in November 2014. 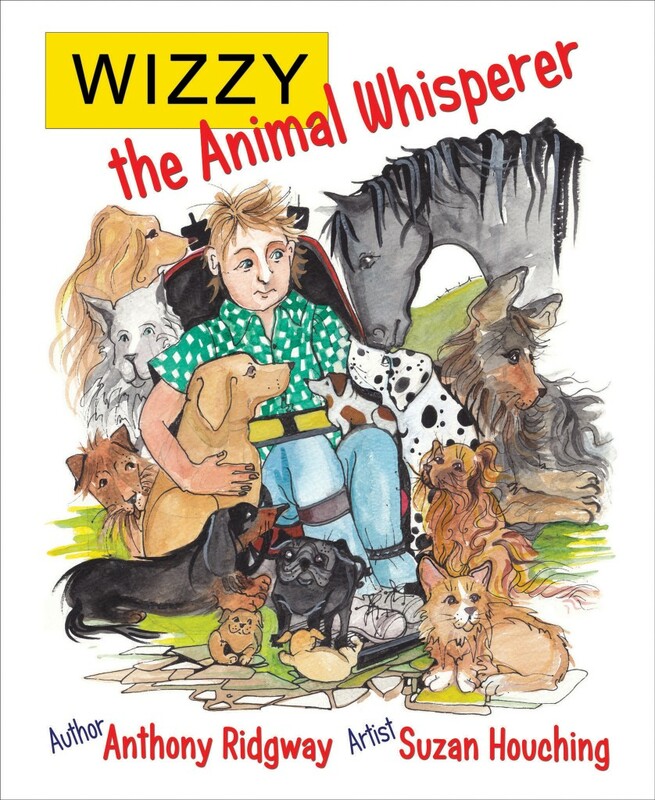 I have other books in progress and there has been interest from agents in my memoir of growing up with a profoundly deaf sibling. I have a passionate interest in raising deaf awareness. During my career teaching in Further and Higher Education, I collected a hoard of unfinished manuscripts. Later, my writing took precedence and, since becoming a regular attendee at the Winchester Writers’ Conference, I have enjoyed success in their competitions gaining two first prizes and highly commended awards for articles on a range of subjects. I began blogging in 2012 and as well as issues surrounding deafness I blog on mental health, dyslexia, writing and anything topical that stirs me to fire up the computer. You can read my blogs here: http://www.dicastlewriter.wordpress.com. In the last year I have become an author for http://www.henpicked.net and have had articles published on http://www.oapschat.com , Gransnet and The Depression Alliance website. I have been interviewed on Hope FM and also by Andrew Knowles of Dorset Social. 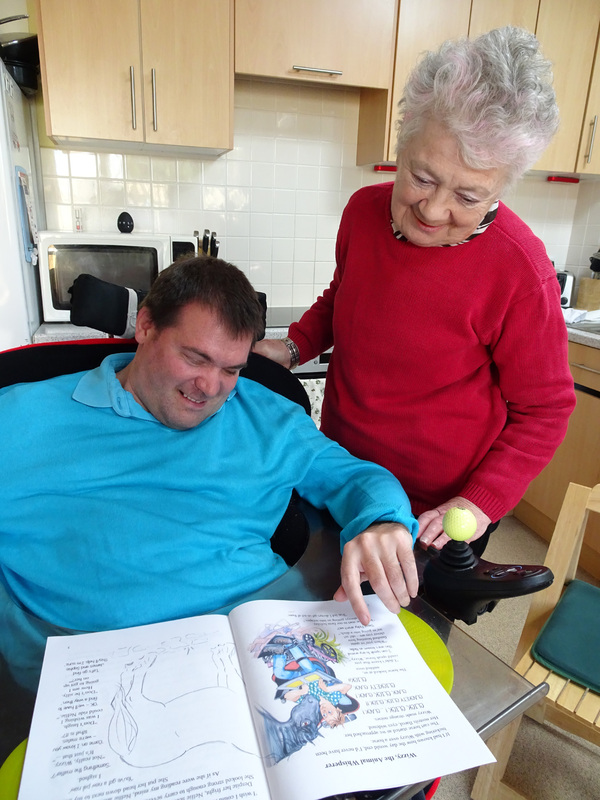 I take my book into a local care home, read some poems and show the illustrations. Residents who don’t normally speak start telling me their life story and other snippets. In the 1980s Di, along with her partner, Bryan, was one of the more prolific scriptwriters for the Terry Wogan morning show and some of their letters and the story of their romance is itching to get on to paper. Grandma’s Poetry Book – Di Castle – a nostalgic childhood journey through the eyes of a first-time grandmother. Fifty-seven poems bounce the reader through the writer’s experiences with hilarious illustrations by Denise Horn. Touching and funny in turn, the collection captures the many facets of fleeting easily forgotten moments. This is Di Castle’s debut and a second book is awaiting illustrations and final polish. Her next book Should I Wear Floral and Other Poems on Life Love and Leaving will be out during 2016. Also illustrated by Denise Horn, this is a collection of poems looking at the funnier side of life and the irritations of mobile phones and much more. Damon L. Wakes holds an MA in Creative and Critical Writing from the University of Winchester, and writes just about anything that springs to mind. He produces both short stories and novels, and particularly enjoys crafting new worlds. He also constructs works of interactive fiction, which can be explored on virtually any device with a web browser. The first three Flash Fiction Month anthologies: OCR is Not the Only Font, Red Herring, and Bionic Punchline are free to download as ebooks. For more information go to Damon’s website. More information and to book tickets.